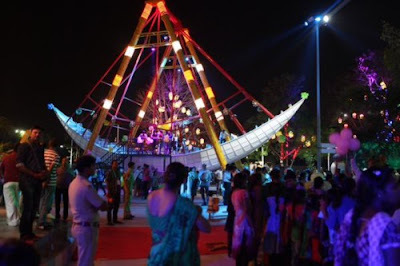 Here we provide you a list of Top 10 Fun and Exciting things to be must done when you are in Ahmedabad. Ahmedabad is very peaceful city. People here are really very helpful and great. This city is really very safe even when you are travelling alone or travelling during nights. You will always experience a memorable time you spend here. In Ahmedabad fun activities like food, shopping and some adventure sports will make your visit worthwhile. The garden at Vastrapur Lake is usually very crowded but it is a great place to visit with your friends and family. The rides would surely be loved by kids. Tiny tots can have a delightful time in the garden too. 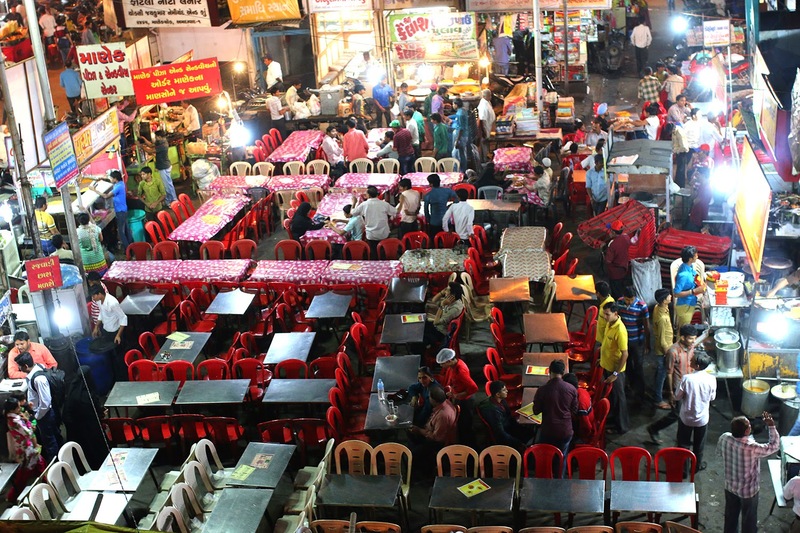 There are lots of food stalls outside the lake where you can relish on delicious food items. Alpha one mall, just opposite to Vastrapur Lake is a wonderful way to spend an entire day. 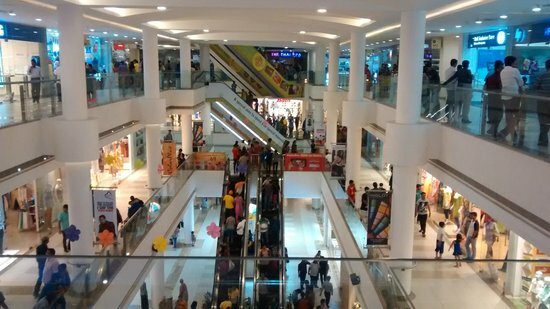 You can do shopping, watch a movie at Cinepolis or have lip smacking food in the food court. There is also a kids play area in the mall. You can enjoy the best boating experience in Ahmedabad at Sabarmati Riverfront, Especially when you are tired or stressed. It will make you feel relaxed. It is truly an experience to cherish throughout life. the price of Boating is Rs. 100 for slow boat ride of 10 minutes which is really affordable. They also have speed boating of Rs. 100 for 2 to 3 minutes for some more adventure. Ahmedabad is a paradise for foodies and places like law garden, Khau Galli, Cept Lane, Manek Chowk are best for street foods even at night. If you are a hygiene freak, there are some fine dining restaurants too serving great food. You can visit Vishalla and Agashiye for traditional Gujarati dishes. If you find Gujarati food too sweet, you can relish Italian, Mexican and other continental dishes too at the most famous restaurants of this city. History lovers should definitely take a heritage walk in old Ahmedabad. Here one can see various old style wooden houses, self contained neighborhood from a bygone era that still stands and various pols. 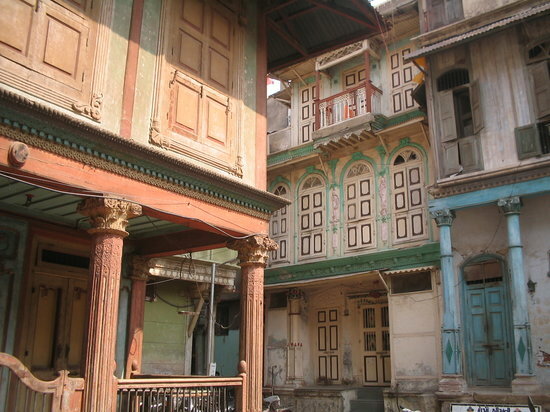 Teen Darwaza, Sidi Saiyad ni Jali, Bhadra Fort and the architecture of old houses in Ahmedabad Pol would surely make you fall in love with the city even more. 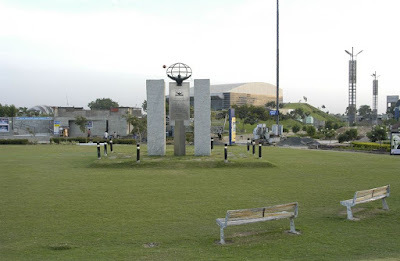 Visit a journey of science and technology at Gujarat Science City. The Energy park is the perfect place for kids to enjoy and learn. The 3D movies at the IMAX theater that showcases various educational, exciting and thriller movies , the musical fountain are surely worth checking out. Kids would really enjoy it. 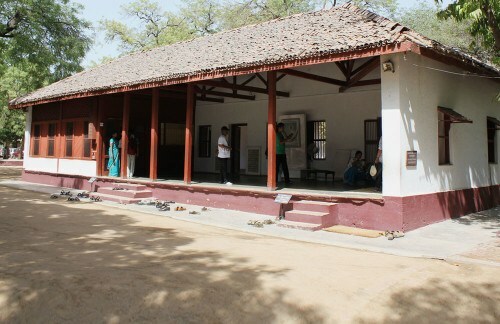 If you are at Ahmedabad and you do not visit Sabarmati Ashram, your trip to this city would be incomplete. Know about the lifestyle of Father of our nation Gandhiji and have a quality time with your family in the serene environment over here. Its the place where you can find peace and relax. Watching the Light and Sound Show is definitely a must thing to do. 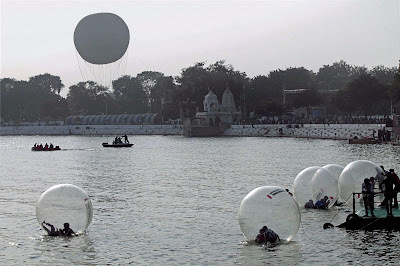 Adventure rides at Kankaria Lake is one of the most recommended things to do, if you happen to visit Ahmedabad. Close to the lake, there is Kankaria Zoo. It is well maintained and your kids would surely know a lot about animals and birds through this zoological garden. Musical Fountain Show at Nagina Wadi, Boating, Floating Spheres, Segway, Ahmedabad Eye and Bal Vatika are must things to be experienced. Kite museum at Sanskar Kendra is also a must thing to do in Ahmedabad. 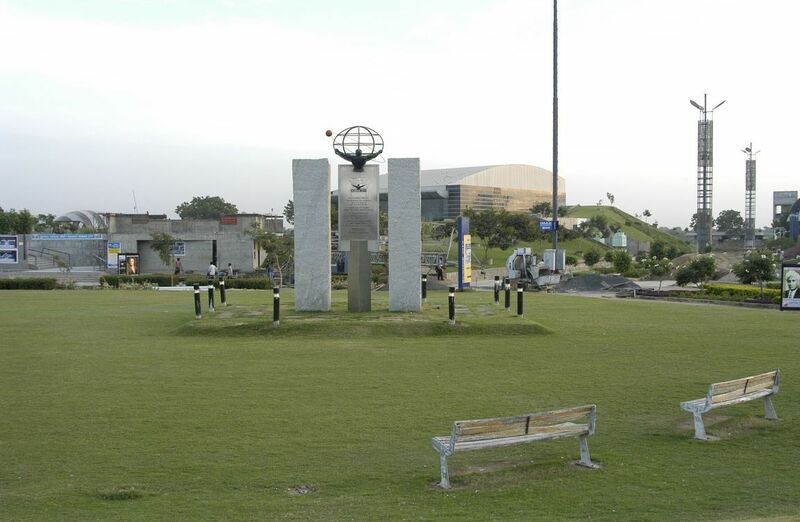 It also portrays a detailed information about the city. 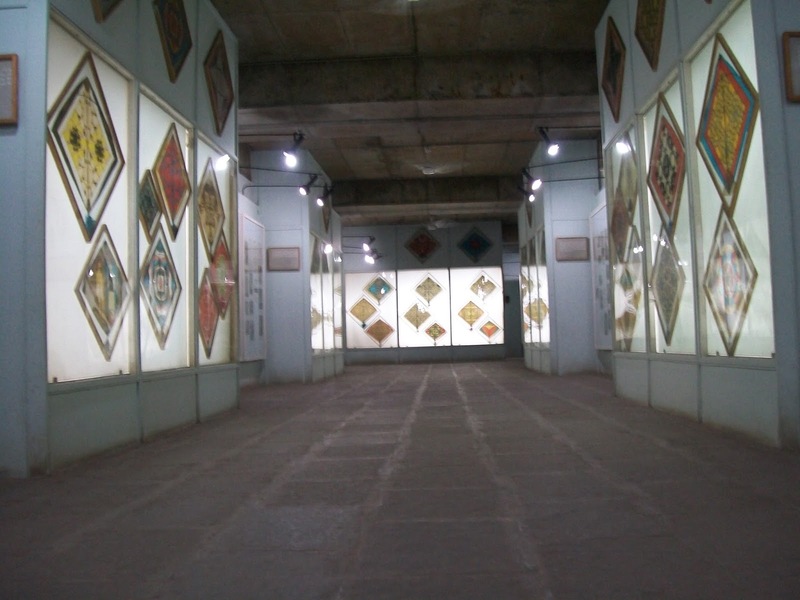 If you like history and art, you would have a wonderful time over here. 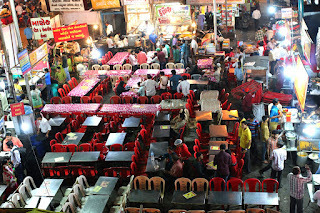 Shop for relatives and friends at extremely affordable rates from the market at Law Garden. 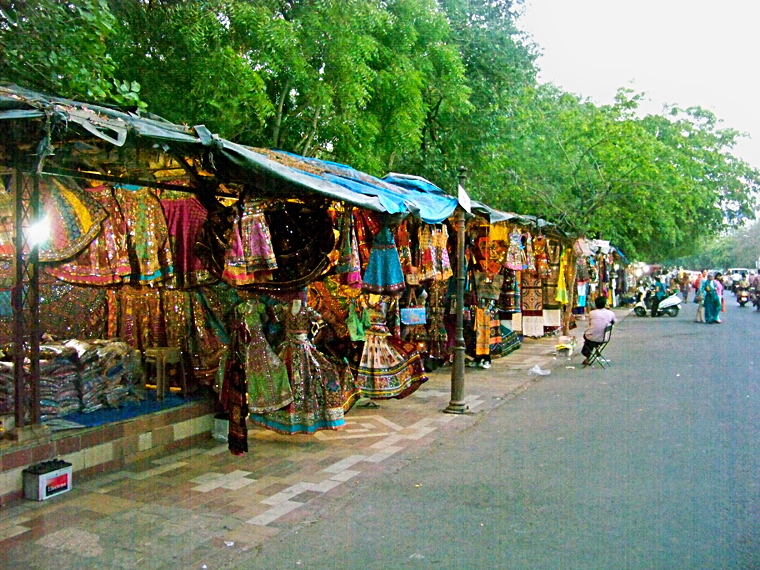 “Chaniya Choli“, the outfit worn during Navratri to perform Gujarat’s folk dance Garba is available in this market. Do not forget to bargain. Attached to it, there is Law Garden Khau Galli for sumptuous food at reasonable prices and Chiti Chiti Bang Bang-a small kids play area zone. They even have horse ride for kids in the middle of the road at Law Garden. No matter where you go, you would surely find amazing food, Adventure, Fun, Lots of Shopping, and a friendly local people support in Ahmedabad and this too in Affordable Rates. 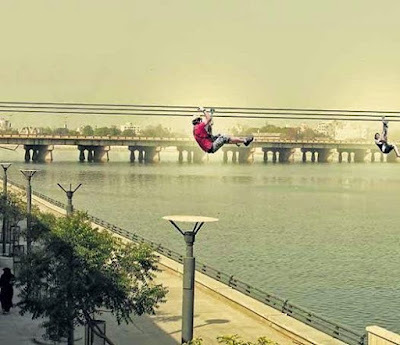 Top 10 fun and exciting things to do in Ahmedabad have been wrapped up in this article with the best possible inputs from personal experiences. 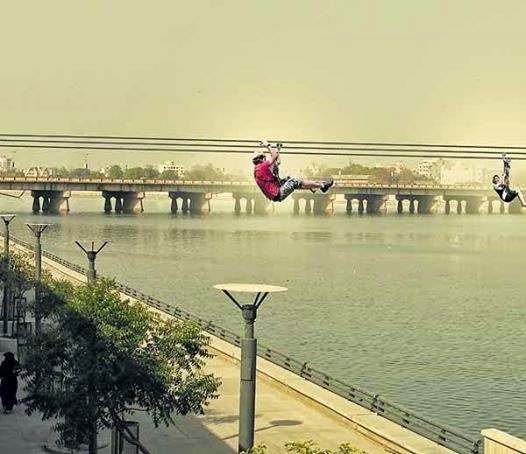 AHMEDABAD - Where Fun is Pocket Friendly.....!! !